“America’s Got Talent” judges Heidi Klum, Mel B., Howie Mandel, and Howard Stern along with host Nick Cannon returned for another week of raw auditions across the country. This week they saw a pain act, hand-balancers with knives, a mis-matched ballroom dance couple, a spell-binding magician along with some outrageous singers and dancers. DJ Smart of “Free Illusion” displayed a creative style of dance mixed with visual illusions on a screen behind him similar to former winner Kenichi Ebina. The judges loved it. Heidi said she loved his attitude and Howie said he was moved. 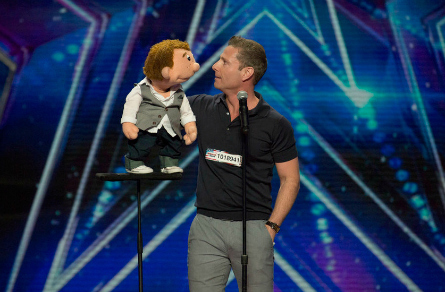 Next was Ventriloquist Paul Zerdin who was there to do some “ventriloquism.” Heidi reminded him that the first winner of AGT was ventriloquist Terry Fator who now makes $100 million per year in his Las Vegas show. Mel said he did “everything really, really well” and captured everyone in the room. Howie wanted to be his friend and said he seems like a nice guy. Alondra is a 13-year-old mariachi singer. She admitted to being shy and has never performed in a large audience. She had a very powerful and grown-up voice. 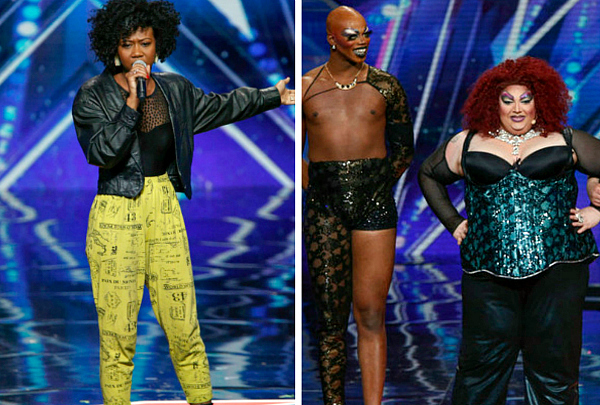 Mel B. could be heard saying “she’s good” during her Alondra’s audition. “Absolutely beautiful. Absolutely powerful, said Howie even though he couldn’t understand the words. Howard said it was “enjoyable” but would also love to hear the “sweetness” of her voice. Ellen and Terry are 36 and 49 year old Karaoke singers. They said once they start singing, “it’s on!” Their audition started off as a joke once the music played and it was Cyndi Lauper’s “Girls Just Want To Have Fun” and host Nick Cannon started dancing off-stage. Howard said “Girls just want to have fun but we’re miserable. He said it reminded him of the “Spice Girls” movie. Although her vote was a “no” Heidi told them to keep singing and having fun! 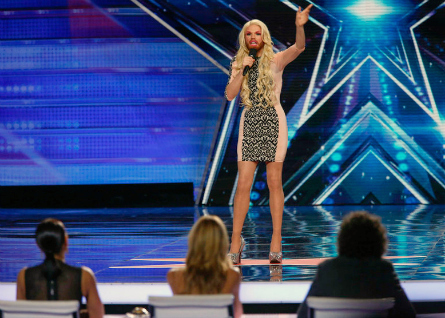 Scott dressed-up as a woman to deliver his comedy act to the judges. For money, Scott actually delivers pizzas. 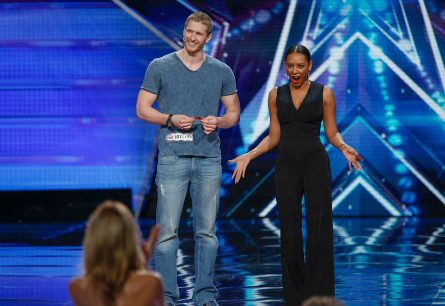 Mel B. told Scott “I thoroughly enjoyed that and keep being fabulous.” An important note – this as actually the first time that Heidi loved a comedian on the AGT stage. That’s huge! Heidi said she couldn’t wait to see what he wears next time. Michael is a 26 year old magician who got his first magic kit at seven years old. Mel B. was very happy to join him on stage to participate in his act. He presented her with a card which she signed her name on. He then signed his name on the four of spades card and folded it just like Mel’s. They held the cards in their mouths,. Then he pulled out her card and she had his card in her mouth. Michael said she could imagine that he was her fist kiss. The initials of her first kiss were scratched into his shoulder! Howard called it “an excellent trick.” Howie considered it the “highest level of magic trick.” Mel B. said it blew her mind. He is from Algeria and his act has “a lot of energy.” He displayed a fast-foot stepping and slide non-professional dance act. Mel B. suggested he should have had a dance partner, other than Howie who was dancing with him by his chair. So, Nick invited Howie on-stage to dance with him and Ouahib. More young adult acts included a tumbling act that also received 4 “yes” votes; an a cappella group, also going through. Leroy is a “pain junkie”. 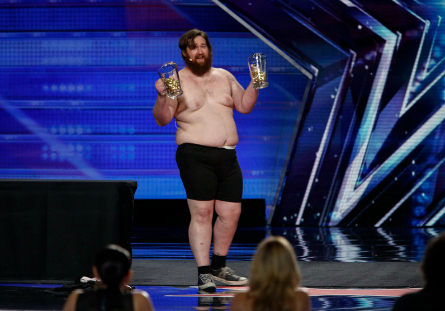 He attempted to show the judges something that they’ve never seen in the ten years of AGT. This audition was him throwing himself onto a pile of thumb tacks and all his body parts including face and hands. Mel B liked it and gave him a “yes” vote, along with Howie. Surprisingly, Howard gave him a third “yes”. 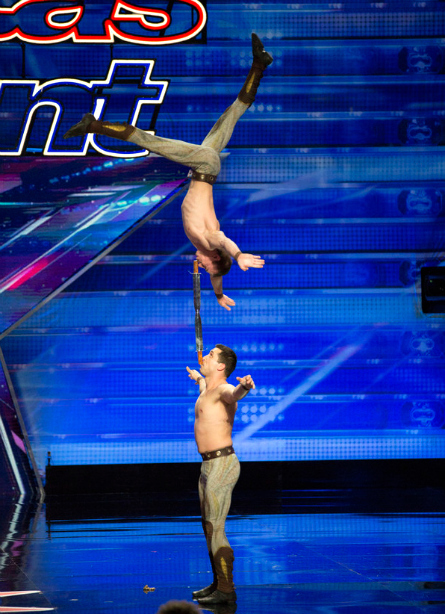 They are acrobats, hand balancers and sword swallowers both named Vladimir from Ukraine. Howard called them “insane” because he’s never seen anything that “crazy”, calling their act “magnificent”. 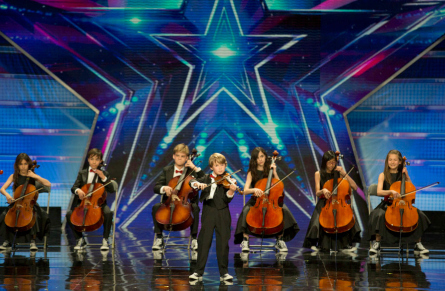 Heidi told them they are what AGT is all about. Mel B. was relieved that their act went well and called them “genuis” and thanked them for showcasing their talent on AGT. Howie praised them saying it’s more than what they expected. The last act of the night was that of a 29-year-old singer who impressed everyone with her hefty pipes. Howard said her voice gave him the chills and he’s now a fan and called her “fantastic”. Howie said she has a gift because she moved every heart in the room and in America. 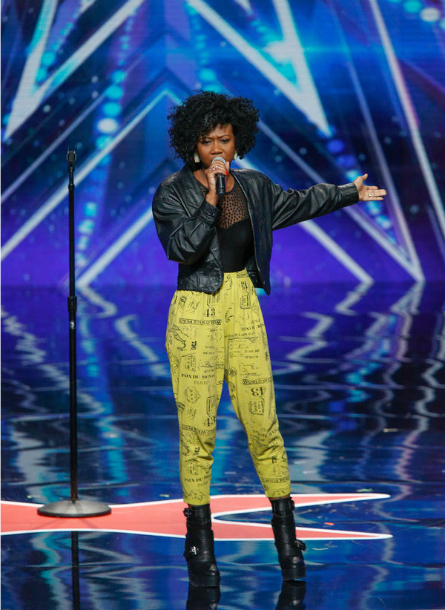 Mel B. said Sharon sent chills down her spine and was compelled to push the Golden Buzzer – sending Sharon straight through to the live shows! NEXT WEEK: Stunt acts will take center stage!